We do not employ sub-contractors for roofing in Mississauga. All staff are licensed, insured and covered by the Workplace Safety and Insurance Board (WSIB), trained and certified in fall protection and the Workplace Hazardous Materials Information System (WHMIS). Owner Anthony Van Kooten is on site every day. From the first meeting to the completion of the job, your Mississauga home is treated as if it were our own. 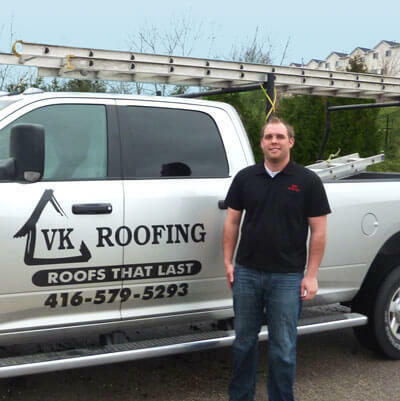 Your property is left clean of roofing debris. Our own dump trailer arrives and leaves each day, with the work crew—no roll-off disposal containers to block your driveway. Scrap metal is collected and recycled. We are certified as an Owens-Corning Preferred Contractor.